Let’s just tell it like it is: bathrooms can be T-O-U-G-H to decorate. That’s why I was so impressed when I came across this Better Homes and Gardens bathroom: it manages to look incredibly functional without sacrificing style or design. 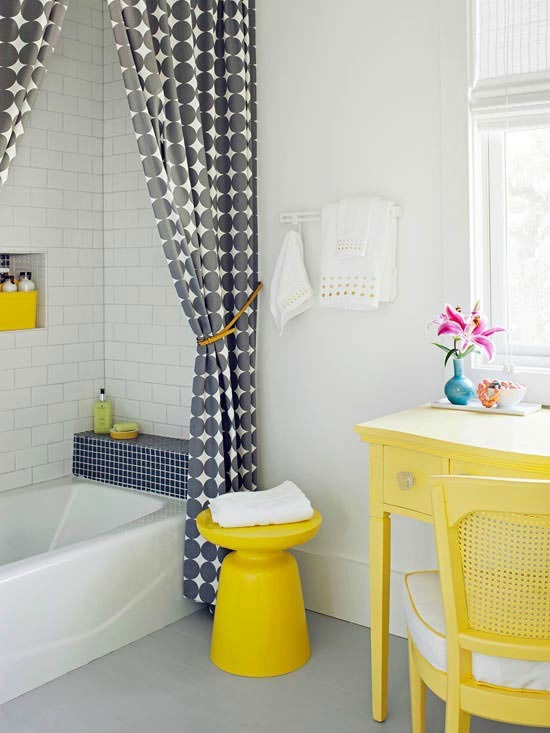 I went on the hunt for a few projects and tutorials that you could use if you wanted to use this inspiration photo as a jumping off point for your own bathroom redo. Have fun seeing this design reimagined in a DIY friendly way! Happy Saturday, everyone! 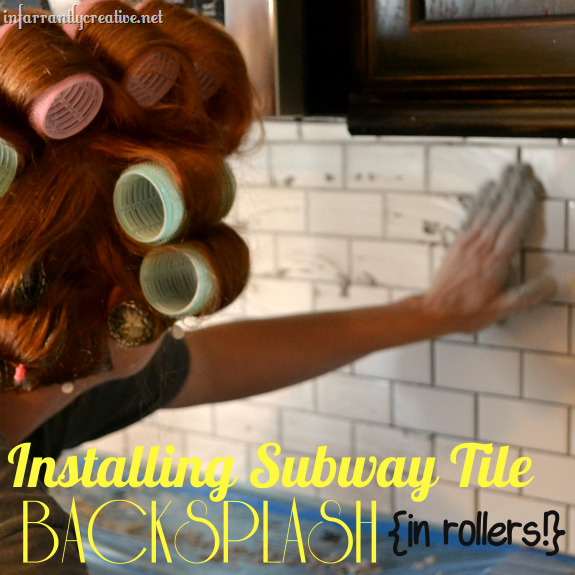 Did you get a chance to see my new subway tile backsplash? I installed it myself just a couple of weeks ago, and I’m soooo excited about the way it turned out! Installation was really not as hard as I thought it would be. So I have been making some huge improvements to my kitchen this month. Yesterday I showed you my new Formica countertop with a Karran undermount sink. 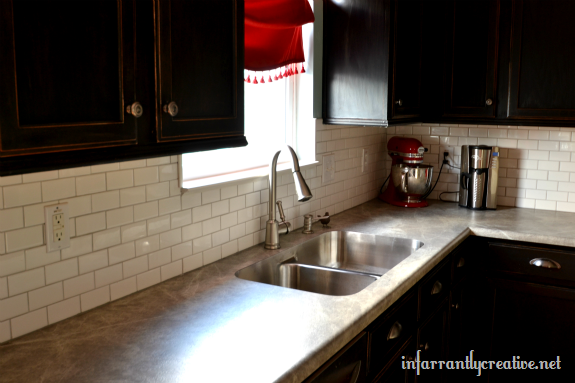 I thought I would try my hand at doing a subway tile backsplash (literally – see picture below). I have never tiled before so I hit the internet to find You tube videos and blog posts to show me the way. I will say it is rather easy if you have the right tools. However, those tricky cuts around outlets and switches are KILLER! This is definitely a full weekend project.